Here's where to watch every episode of The Phil Silvers Show season 2. Mouseover or tap an episode to see where to stream it. Click or tap the play icon to stream it on the best available service. 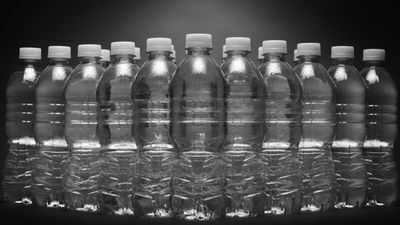 Platoon in the Movies Sep 18, 1956 The platoon is chosen to make a film about the correct use of the spark plug. Bilko Goes To College Oct 2, 1956 When a local gangster insults the army Bilko takes a bet of 1000 -1 That the local College Schmill can beat Notra Dame in a football game. Nobody gives them a chance, but when Bilko gets to work on the press they start to believe that Schmill can win. The Face On The Recruiting Poster Oct 16, 1956 Bilko hopes to get a handsome young recruit noticed by Hollywood so he tries to get the soldier's face on the new army recruiting poster. But first he must pass a test on the army and with Doberman coaching him a surprise is in store. Bilko's Engagement Nov 6, 1956 After a mix up at the jewelers Bilko finds that Joan has been given an engagement ring and she thinks that they are to married. Bilko has to think fast of a way out. 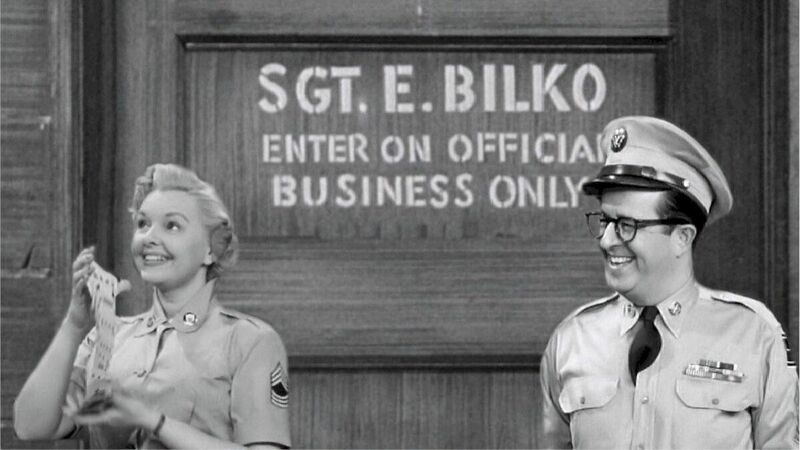 A Mess Sergeant Can't Win Nov 13, 1956 Fed up with losing to Bilko all the time Mess Sgt Ritzik is leaving the army having saved up $400 to open a snack bar So Bilko devises a plan to repay all the money that he has won off Ritzik. Doberman's Sister Nov 20, 1956 It's family day at Fort Baxter and all the platoon have invited their sister's. They all have date's except Doberman's so Bilko sets out to con Zimmerman into taking her out. Where There's A Will Nov 27, 1956 A member of the platoon is cheated out of his share in his uncles will. The only thing he gets is a parrot so Bilko starts a rumor that the parrot holds the clue to a hidden treasure map. Mink Incorporated Dec 11, 1956 After Bilko loses 100 dollars of the platoons welfare fund on a horse, he tries to get the money back, by starting a mink farm, but the mink's refuse to breed. Sergeant Bilko Presents Ed Sullivan Dec 18, 1956 When TV host Ed Sullivan tries to put on â€˜A Salute to the Army' show, the talent scout leaves Bilko out to start with, but when the producer decides to use a jeep in the finale, they turn Bilko to organise things, but he tries to change the show to suit himself. Bilko Gets Some Sleep Dec 25, 1956 Unable to sleep Bilko goes to the camp psychiatrist for advice. He is told to give up gambling and women. 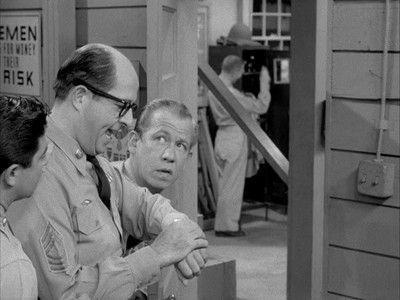 Love That Guardhouse Jan 15, 1957 After winning 1500 dollars in Las Vegas, Ritzik is desperate to play poker with Bilko, so the Colonel locks him up in the guardhouse for his own protection. Sergeant Bilko Presents Bing Crosby Jan 22, 1957 Bilko promotes a show starring Bing Crosby, but when Bing suddenly fails to show up, Bilko has to find a lookalike as a replacement. Bilko Goes To Monty Carlo Jan 29, 1957 Bilko comes up with a foolproof method of winning at roulette, so all the camp come up with a bankroll and send him off Monte Carlo to try it out. Bilko's Television Idea Feb 12, 1957 When T.V. star Buddy Bickford come to Fort Baxter to research background for a new television show. Bilko tries to sell him a T.V. idea of his own. The Son Of Bilko Feb 26, 1957 A young practical joker joins the platoon and drives everybody crazy until Bilko finds a way to give give him a taste of his own medicine. Rock 'n' Roll Rookie Mar 5, 1957 When singer Elvin Pelvin joins the platoon, Bilko sees a way to make money but he can't get him to sing. 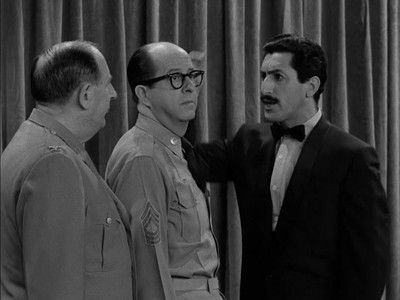 Bilko's Black Magic Mar 19, 1957 When Pvt Mendleson who has been lost in the jungle for years receives $7000 in back pay he loses it to Grover and Ritzik in a poker game. Bilko uses their fear of black magic to get his money back. 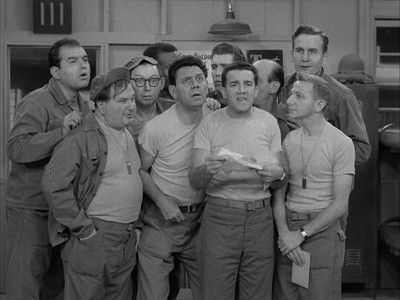 Bilko Goes South Mar 26, 1957 During a cold spell the platoon think that they are entering a singing contest which will be held in Florida, but instead they take part in a dangerous medical experiment. Bilko Goes Around The World Apr 2, 1957 After watching ' Around the World in 80 Days ' Bilko calls the producer Mike Todd and suggests that to publicize the film he offer a prize to the first person who can do the same. The Mess Hall Mess Apr 9, 1957 Bilko has dinner at a French restaurant and finds an old recipe that will win a prize in a competition to find a brand new American recipe. 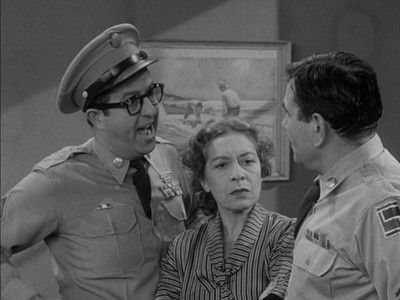 Bilko the Marriage Broker Apr 30, 1957 When Lt Wallace gets transferred to become Bilko's platoon officer he works them hard all day. So they try and get him to fall for a new WAC officer Lt Rogers but he doesn't seem to be interested but unknown to Bilko the two officers are having a secret affair and no one is to find out. Bilko's Perfect Day May 21, 1957 For once everything goes right for Bilko, from hot showers in the morning, to picking all the winners in a horse race, but by the time he realizes it the day is over. The Colonel Breaks Par May 28, 1957 Bilko wants the Colonel away from the camp so he can operate without obstruction he decides to get the Colonel to enter a golf tournament in Palm Springs but the Colonel doesn't think he is good enough to play. So Bilko gets Sam Snead to act as a golf novice and for Bilko to give him some golf lessons while the Colonel is watching. Show Segments Jun 4, 1957 The cast meet in Lindy's restaurant to watch scenes edited out of previous shows. Nat Hiken felt these outtakes were too good to end up on the cutting room floor and compiled them into what is possibly television's first 'clip show'. His Highness Doberman Jun 11, 1957 Doberman is dating the daughter of a Roseville millionaire, but when her parents find out that he is just another soldier they refuse permission for them to marry.